For future NYC Events check the tab above: “NYC Events-December.” It’s the most comprehensive list of top events this month that you will find anywhere. Carefully curated from “Only the Best” NYC event info on the the web, it’s a simply superb resource that will help you plan your NYC visit all over town, all through the month. The staff of NYCity123 will be on holiday for two weeks, in Scotland of all places. For the few days before Christmas, we will focus on the holiday season and give you all the best info you need to enjoy the department store holiday windows, the holiday markets, and where to ice skate in this town. For the period between Christmas and New Years we will highlight a selection of some of the best NYCity photography you can find anywhere, especially on Instagram. We hope you will enjoy this change of pace, then please return here on January 3 and every day for our daily “Only the Best” NYCity event info. 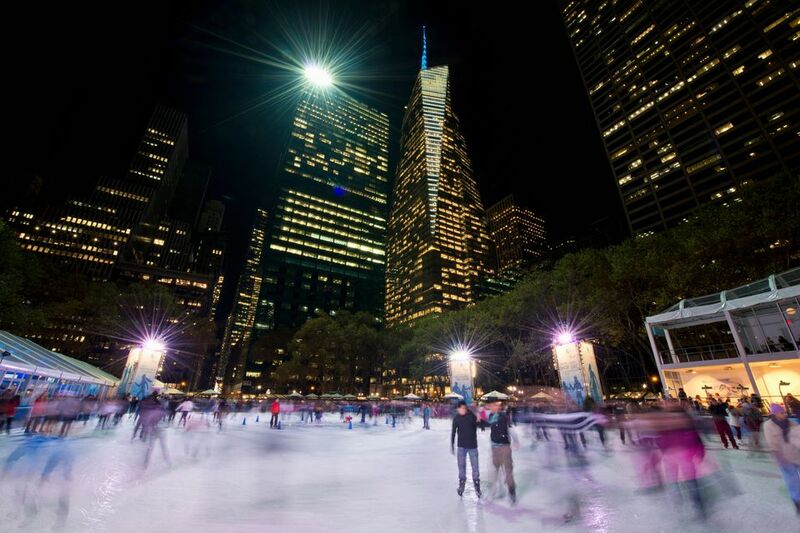 TripSavvy has some of the best current info on NYCity ice skating, and does a fine job publishing a wide range of NYCity event info. I hope you will click on their hot link to see what else they have to offer. Baby, it’s cold outside. 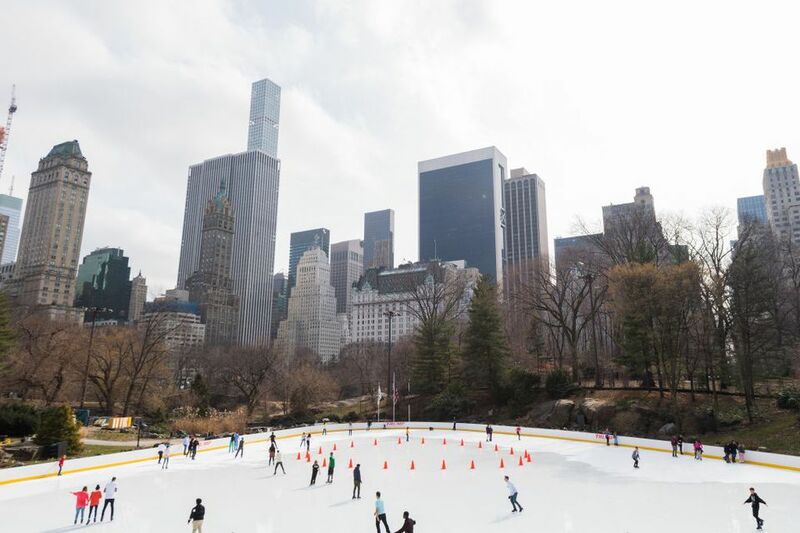 Make the most of the winter at these top ice-skating rinks in NYC, where skating meets some pretty spectacular atmospheres. Most city rinks stay open from November through March, affording a wide window of time to plan your winter outing, and to sample multiple rinks throughout the season. Plus, most rinks offer an assortment of classes, if you’re looking to channel your inner figure skater or hockey star. 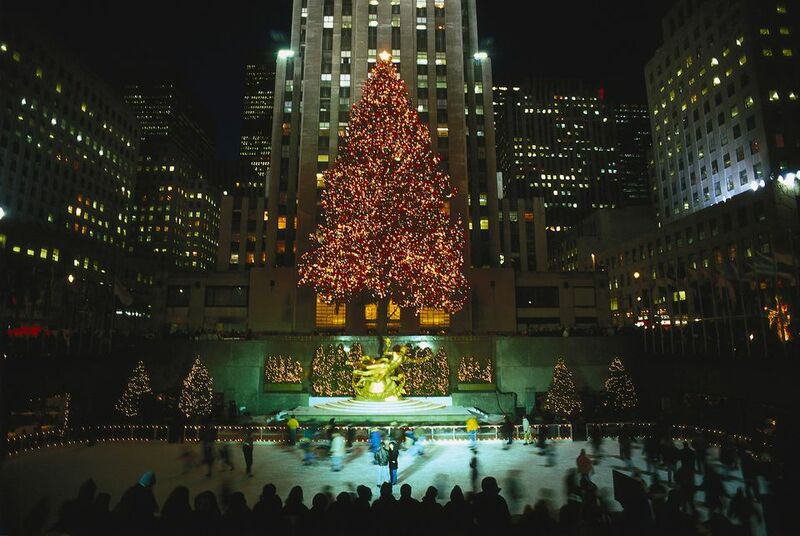 With a gilded statue of Prometheus, the world-famous Rockefeller Center Christmas tree, and the 70-story 30 Rockefeller Center building towering above, The Rink at Rockefeller Center affords the most atmospheric skating experience in the city (but also the priciest). Accommodating just 150 skaters at a time for 90-minute skate sessions, the rink is one of the few areas of Midtown where you won’t find crowds (though lines can get quite long, especially during the holiday season). Entry is first come, first served, though they do offer packages that allow for advance reservations and perks like skate concierges, hot chocolate, and/or breakfast. Season skating passes (from $275) are also available to skip the lines and gain unlimited access to the rink. Part of the Bank of America Winter Village at picturesque Bryant Park, this 17,000-square-foot rink has brought free ice skating to NYC for more than a decade (while access to the rink is free, note that you’ll need to pay for skate rentals if you don’t have your own). After a spin on the ice, stick around to nosh at the Danny Meyer rink-side restaurant, Public Fare, or browse the 125-plus boutique-style vendor at the Holiday Shops (through January 2, 2018). As Manhattan’s only no-cost rink, expect crowds accordingly. Opt-in, at an extra cost, for skating lessons, Express Passes (skip the lines and nab skates, from $30), or season passes. Framed by skyscrapers on the horizon, and bucolic Central Park, the Wollman Rink offers atmospheric ice skating at about half the cost of Rockefeller Center. Plus, sign up for plenty of extras, including group and private skating lessons, with learn-to-skate, ice dancing, and figure skating slants, as well as a hockey program. VIP tickets include skate rental, no-wait admission, use of a heated tent, snacks, and locker access ($60-78). Note: In a rather unusual policy, spectators must pay to watch here; it’s a $5 fee. 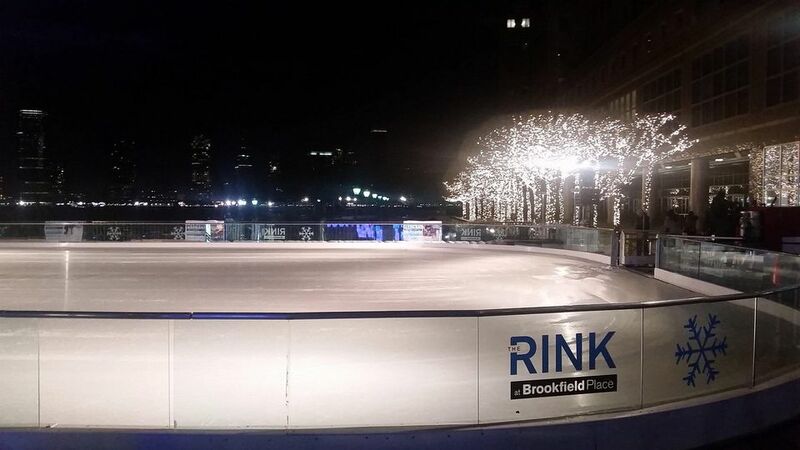 This Battery Park City Rink at Brookfield Place, situated alongside the Hudson River’s North Cove Marina in front of the Winter Garden, offers great views of downtown skyscrapers and the Statue of Liberty in the harbor. At 7,350 square feet, it’s bigger than the Rink at Rockefeller Plaza. In recent years, the rink has partnered up with U.S. ice dancer Olympians Melissa Gregory and Denis Petukhov who host various skating programs throughout the season. For more immersion on the ice, consider the family learn-to-skate programs, try “kick ice hockey fitness,” or sign up for season passes (from $200). 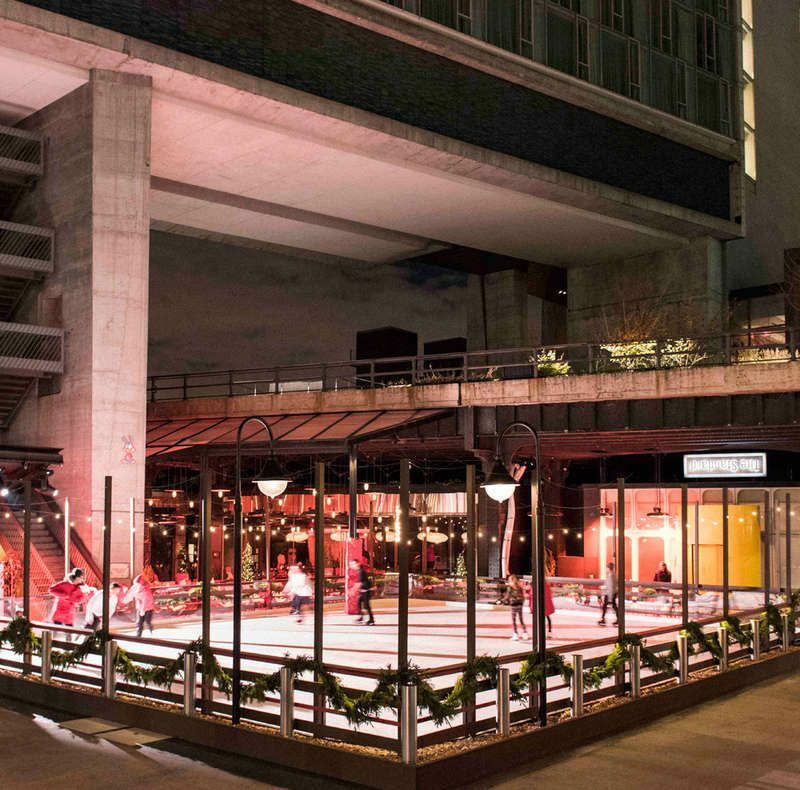 The trendiest rink in town, ice skating has never been so cool, thanks to super-hip hotel The Standard’s ice rink, an intimate 3,000-square foot affair, with late-night hours primed for the Meatpacking District crowd. The rink has been redesigned to inspire the “golden age of the après-ski lifestyle,” with touches like rocking chair seating and vintage plaid and faux fur blankets. Enjoy some “après-skate” at the rink-side café Skate Shack and indoor Living Room bistro serving up specialties like apple strudel or roasted acorn squash, along with mulled wine, hot toddies, and hot chocolate to wash it all down. New York City’s best holiday markets brim with Christmas charm, handmade and vintage gifts everyone is sure to love and the season’s best festive foods. Looking for one-of-a-kind gifts sure to impress everyone on your list? One of NYC’s best holiday markets will hook you up with memorable gifts and stocking stuffers — plus seasonal eats while you shop.